Here you will find our options for getting up onto your garden play equipment; (there is another section which covers climbing nets and rockwalls – you can find details of them here). Our ladders are made with extra strong hardwood rungs so they allow young hands a firm grip to make the safe ascent to the deck. The sides are solid 4×4 timbers too so they will be strong enough for children of any age (and adults too) to use. Or for younger children, we can provide steps with broad, flat treads to make that climb even easier. And finally we have our gangplank – 600mm wide boards on strong 6×2 joists with a double strand of safety rope each side. 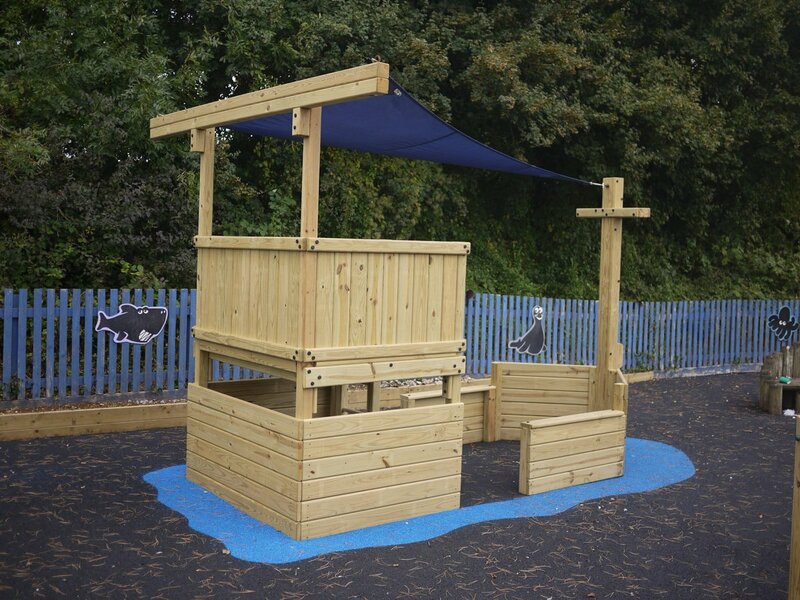 This gives a gentle climb up and is ideal for those with limited mobility as well as the youngest playground adventurers.